What constitutes a ‘trophy’ class buck, a young hunters first 8 point or a well heeled hunters 10th Boone and Crockett buck taken from an intensely managed ranch? So far, this has been an awesome year in Texas for harvesting trophy class white tail bucks. Today, a buck that makes the Boone and Crockett book with the minimum score of 170 BC has become almost commonplace, especially on well managed ranches, many of which are high fenced, all across the state. I, and most veteran deer hunters, can remember not too many years ago when there were only a handful of ‘book’ bucks taken in the state each year. While visiting and hunting with my friend outdoor writer and TV show host Larry Weishuhn recently, we spent a good bit of time discussing the subject of the increase of big deer taken in Texas and across the country. I couldn’t agree more with Larry. When I was a young deer hunter back in the sixties and early seventies, the buzz word among deer hunters is “how many points did he have?” To our way of thinking, a ten point was better than an eight point, regardless of factors such as age, tine length, mass, etc. Today, experienced deer hunters judge a bucks rack with terms such as: mass, tine length and symmetry rather than strictly number of points. Granted, we all are hunting for a big, mature ten or twelve pointer with a typical frame, rather than a mature 6 or 8 point. Most experienced hunters will let an immature ten point walk and harvest a mature eight point or even a mature 5 or six point. MATURE is the buzzword today. We have learned that an immature buck that’s been on a good diet has the potential to develop an eight or even ten point rack very early in it’s life, maybe as a 2.5 year old but, given the time necessary to develop to maturity this same buck might be sporting a high scoring ten or twelve point rack with long, heavy main beams and long tines. We have also been educated to what a mature buck looks like. Young bucks are slender with smaller necks and shoulders but mature whitetail bucks are much blockier and after the age of 4.5 years, begin to put on a bit of a pot belly. In the forty eight years that I have been hunting whitetails in Texas and, as an outdoors writer, across much of this country and Canada and Mexico, I’ve seen lots of changes. Some I like and some I don’t. Deer hunting is not all about numbers or how many inches of antler a particular buck’s rack sports. On the vast majority of ranches in Texas today, bucks in the 170 BC and bigger are non existent. 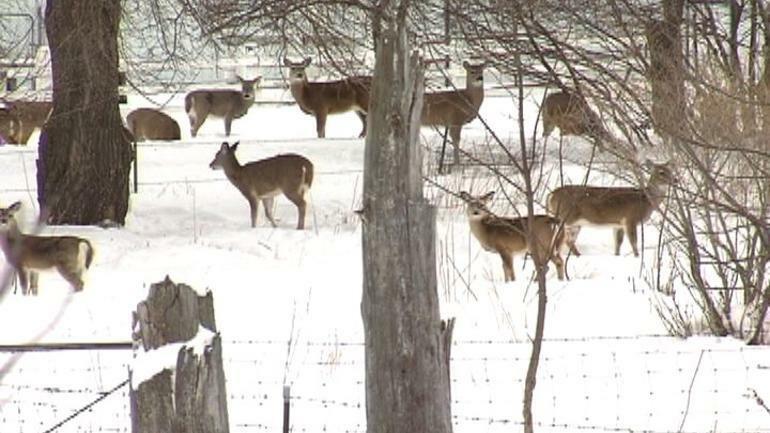 Deer of this size are occasionally harvested from small acreages where deer certainly cross several property lines on a daily basis. But most extremely high scoring bucks are taken from intensively managed ranches, either high fence or extremely large low fenced ranches, ranches where the majority of the deer never leave the property or.. The management plan the ranch owner has in place. To sum it up, deer are hunted for many reasons. Some deer hunters are just out there for the sheer joy of spending a few well earned days at deer camp and are happy for a buck, any buck, and a doe or two for the freezers These guys and gals probably get more enjoyment from all aspects of the hunt than those that are strictly ‘head hunters’. Others are not willing to release the bowstring or squeeze the rifle’s trigger on anything that scores less than 150 BC. Neither camp is right or wrong, to my way of thinking. Some might be a bit more privileged to have access to intensively managed ranches that others, but I’ve been hunting deer long enough to know that a mature buck is a mature buck. A low scoring, freaky antlered 5 point that might gross 85 BC points can be just as challenging to hunt as one of those high fenced monsters that push 300 inches or antler. May our sport go on forever, regardless whether we consider our ‘trophy’ to be a heavy antlered buck-or venison for the freezer! My 10 year old grandson recently harvested a fat 2.5 year old eight point from a heavily hunted area where most bucks are harvested as soon as they meet legal requirements. Words cannot explain how excited and proud he was to harvest his 8 pointer. Think of it in this prospective: who is the most successful hunter, a kid with his first 8 point buck or a well heeled sportsman with multiple monster bucks on the wall who just shot another Boone and Crockett buck? May our sport go on forever, regardless whether we consider our ‘trophy’ to be a heavy antlered buck or, venison for the freezer. I have commented many times that I would continue hunting deer if I knew I could only harvest does and spikes. There’s just something about being out there in the fall with family and friends, pursuing what many consider to be the greatest big game animal of all! This week will be short, because I am packing my gear to head back to the Dale River Ranch. This past weekend, I was not successful. It happens to the best of us. I shot from a vertical angle that I don't practice much, and believe you me, when I get back to the ranch, it will be a shot I'll be practicing before I head back out to try again. Howdy Folks! I took my bow up to Palo Pinto County earlier this week for a short bowhunt on the Dale River Ranch. Shooting from a high rock outcropping to deer on a trail below, I came very close to arrowing the monster buck shown you see running away in the first photo. You can even see my arrow on the ground under the feeder. I had a trail camera situated near the feeder, and it captured this rare image.